Vanilla Coffee Scent. Made with a dark ale. When drinking coffee just isn&apos;t enough, grab a bar of Joe. When you can&apos;t get enough of that lovely coffee aroma, wash with Joe. Best part of waking up is Soused in your shower! 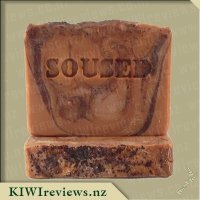 Having four young children within the house makes soap a commodity that is always needed and finding one that can do the job of cleaning while removing odour is sometimes an annoying task in itself but Soused Soapery have a range of soap&apos;s that do this very well. 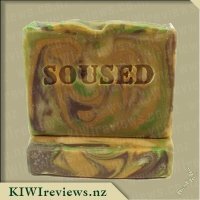 After having tried the Loaded coconut Soap from their range I came across one problem that because of the size of the bar although it suited me very well taking up my whole hand it was a bit too big for the kids to manage in their small hands so I broke the soap down to three separate pieces. 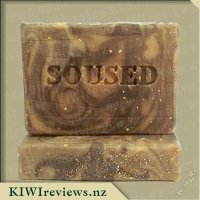 The soap is a light brown colour with dark brown swirls throughout the bar and it has a lot of coffee granules speckled everywhere. 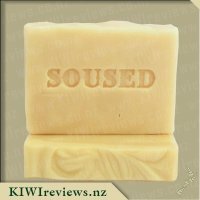 The aroma of the soap is like a light waft of vanilla and coffee that is just subtle enough to recognise that is vanilla and coffee. I decided to use the soap first being that my hands were rather dirty and greasy already from working on the kid&apos;s bikes earlier so I choose the piece of soap which looked like it had the most coffee granules around it and began to scrub away at my hands. The result was fantastic as my hands were clean and smelled very fresh thanks to the mixture of ingredients. I would have to say that this Joe Brewtus soap is so far my favourite in the range as although I did mention in a previous review on the loaded coconut soap that the coconut flakes acted as a scrub they do not compete with the coffee granules in this soap that truly make a scrub that gets into all the nooks and crannies cleaning out those hard to get to spots which in my case works very well as my hands have some deep creases which I struggle to get clean. The kids all had their turn using the soap after dinner that night and they absolutely loved it. The soap can become quite messy once it has been wet like most soaps so I would recommend keeping it in a soap dish or drying it after use. 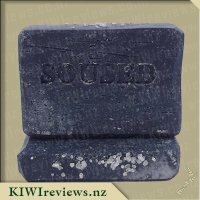 The cost of a single bar is pretty steep at $12 but it is a relatively big bar of soap and although I wouldn&apos;t purchase at this price I have noticed that they have regular specials on their website that I find very reasonably priced. 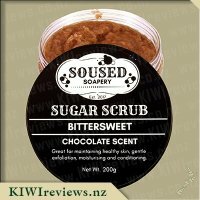 I recommend this soap to anyone that likes using artisan products that are unique and very different from the standard run of the mill products. 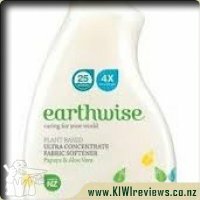 I spend rather a lot of money on soaps and body washes, I sometimes react badly to natural ingredients and my youngest reacts even worse to chemicals. The name caught my eye and I thought I had nothing to lose by trying it. Stylish packaging. I especially liked the advice to use caution around eyes and sensitive areas. I opened it up and expecting to smell coffee was bitterly disappointed in that I can&apos;t smell coffee at all but I could smell something about half way through my shower I had the thought that it was dark ale so was happy with that. 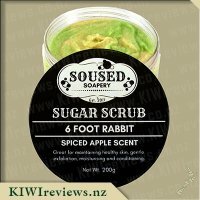 After my shower I had a sniff to see if the fragrance was strong enough to stay on my skin even after the soap being rinsed off, it did. I was a lso impressed that I could feel the coffee grounds on my skin while washing. I decided not to use body lotion that day so that if I was itchy I would know it was the soap and not a reaction between the soap and the lotion. About lunch time I realised that I was feeling a bit of a sensation in my sensitive area, not a really pleasant feeling at all especially as I had not used soap on that area at all. The second day I did a few extra rinses of my sensitive areas and the itchy feeling was still there from about midday but it was a lot less itchy. Just to be sure I did a third day with using this in the shower but still a repeat of the previous day. I did encourage my children to use this soap but they were unsure as it had a strong smell that they didn&apos;t know (happy to know my children don&apos;t know what dark ale is). There is still a lot of the bar left so I have no doubt that it would outlast any other brands but I&apos;m going to have to say no to buying this again. Having tried a couple of these already, it was nice to get another in the mail, and just as expected, it presents well while having an element of individuality to it, which I think always enhances something that could be given as a good gift. Opening it up, there was a decent amount of coffee grounds on the top, so it felt like you were getting something a bit more genuine, though I did not that I couldn&apos;t really smell any coffee but figured that might change once it was being used. I left this out for the family to use when washing their hands but noticed that the kids weren&apos;t really that interested in using it (my eldest actually went out of his way to avoid using it). I decided to start using it in the shower and noted that it lathered up well and left little coffee granules on the skin. It states that it has a vanilla coffee scent but I couldn&apos;t smell that at all. 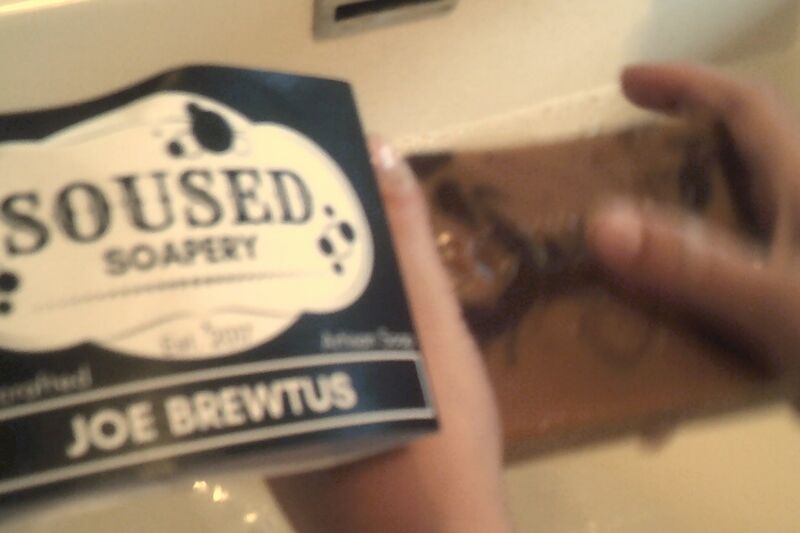 However each time I used the soap I could easily smell the dark ale, there was no missing that, so at least I knew that indeed in the soap. This has lasted well, it might seem expensive but it does last a good length of time and you have the fact that there isn&apos;t anything quite like it on the market. As I&apos;m not a big beer person, I wouldn&apos;t buy this for myself, but I have a friend or two who this could be perfect for. 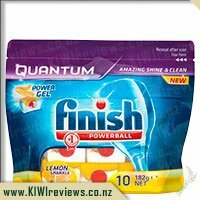 I have used this brand twice already so I thought I knew what to expect - but I was wrong. Each of the three varieties I have tried has been quite unique - something unexpected these days when everything conforms to assembly-line perfection. It is refreshing to find a product that is so obviously handmade with that individual touch you expect from a craftsman. This one is a gem, and even the children loved it. A great way to encourage them to wash their hands! They stood side by side at the bathroom sink while I got the camera! Mr Eight unwrapped the bar carefully, ensuring he did not tear the wrapper, and they both admired the appearance of the surface. They had expected a darker colour because the ingredients include dark ale and coffee grounds, but it proved to be more of a milk chocolate colour with swirls of darker tints. They could see tiny grains of coffee on the surface and when they ran their fingers over them they could feel a slight roughness to the bar. Hand washing was fun! They took turns to rub the soap vigorously into their hands, making sure that they reached under their fingernails as well, and exclaiming when the residue was shiny rather than lathered. Rinsing off took a little while but when they had finished they both inspected their hands scrupulously and then checked out each other&apos;s as well before towelling off and sniffing hard to see if they could still smell the coffee! Luckily it was not too intense. 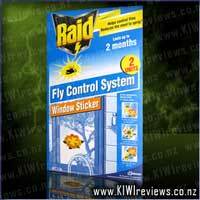 I tried it myself next day in the shower, and found the texture quite different to what I had expected. There was a gentle massaging effect from the coffee grains which was pleasant, releasing the coffee scent as it melted into the warm water. The scent lingered for some time: unfortunately, it gave me ideas and prompted me to make myself a cup of coffee. 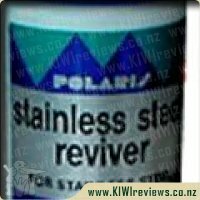 Perhaps the "Please Bathe Responsibly" instruction on the wrapper should include a warning that it might encourage people to indulge in more caffeine than is good for them! My daughter tried it as well, and thought it was a good size for a bath soap. However, she did think it was too big for the children&apos;s little hands and wondered if it would be a good idea to produce a bar that had a score down the middle so it could be easily divided into two pieces if required. That is something I would not have thought of doing, but it seems a good idea because it would give the buyer the option of having two smaller bars for hand washing etc or leave the bar in its original state for the shower. She, like me, enjoys her coffee and thought the smell was absolutely wonderful - not too strong, but just enough! And, as a bonus, it would make a wonderful gift for a friend who enjoys coffee as much as we do. On the front, 5 Blade Shaving Surface Technology. Fusion has five blades spaced close together. 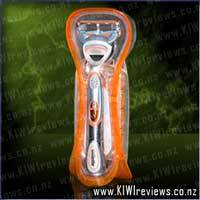 This distributes the shaving force across the blades to help reduce pressure - for less irritation and more comfort.